Lori has enough faith and confidence in me to trust me with my share of painting chores at the new house. But she checks my work. Thoroughly. Relentlessly. We do have a rare difference opinion on this: I believe that perfection is a worthy goal but only for worthy objectives; she believes that she’ll have sleepless nights if she knows the underside of that doorknob is showing some primer. We continue to make progress regardless. 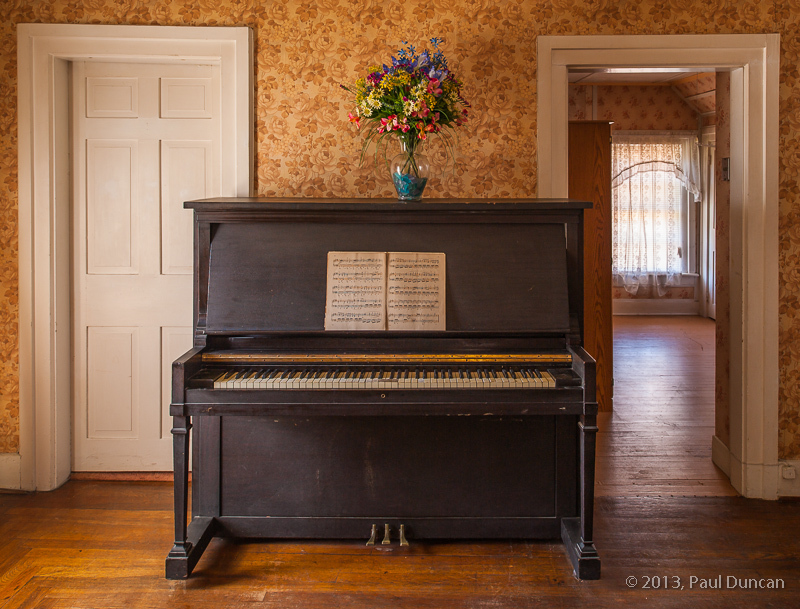 Our temporary home, in an 1870’s Victorian in Owego, NY, features an old upright piano that seems to come to life in the warm glow of late afternoon sun diffusing through the curtains. 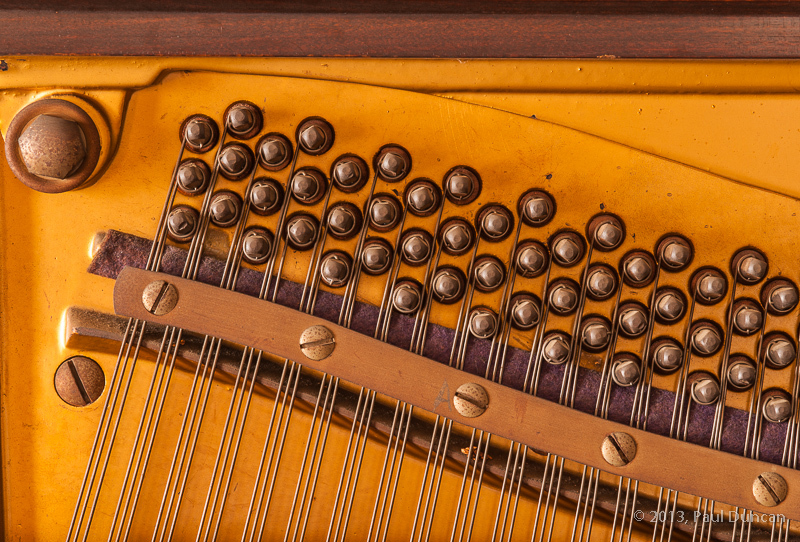 It’s a Francis Bacon upright piano, probably made in the early- to mid-1920’s as near as I can tell based on the serial number. It’s showing its age with the darkened craquelure finish, numerous scratches, stains, and dings. It’s endured hard use and some disrespect. 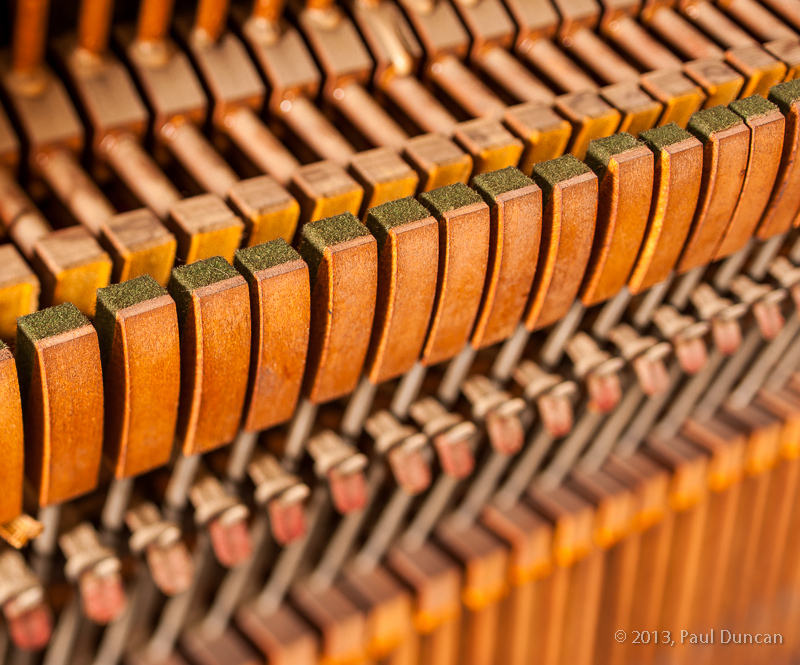 One’s ear strains to hear reverberations from past playing; the mind wanders to Fats Waller, Thelonius Monk, or Scott Joplin. 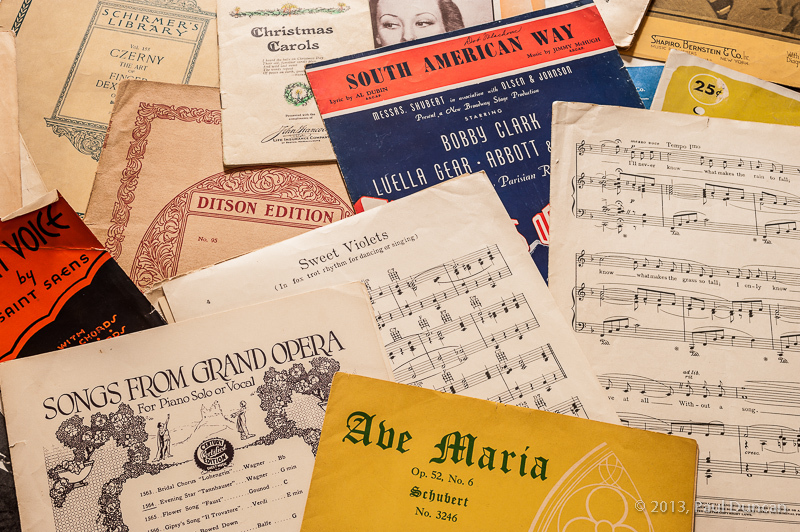 Evidence from the contents of the piano bench indicates more prosaic use–mounds of old yellowing sheet music, much of it from the 1930’s and 1940’s, provided training for aspiring pianists. 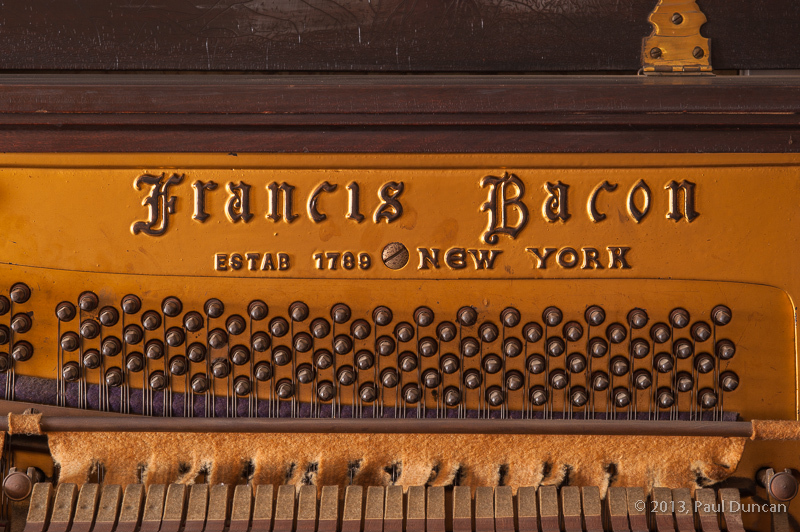 The Francis Bacon pianos were recognized for their sturdy construction and modest price. 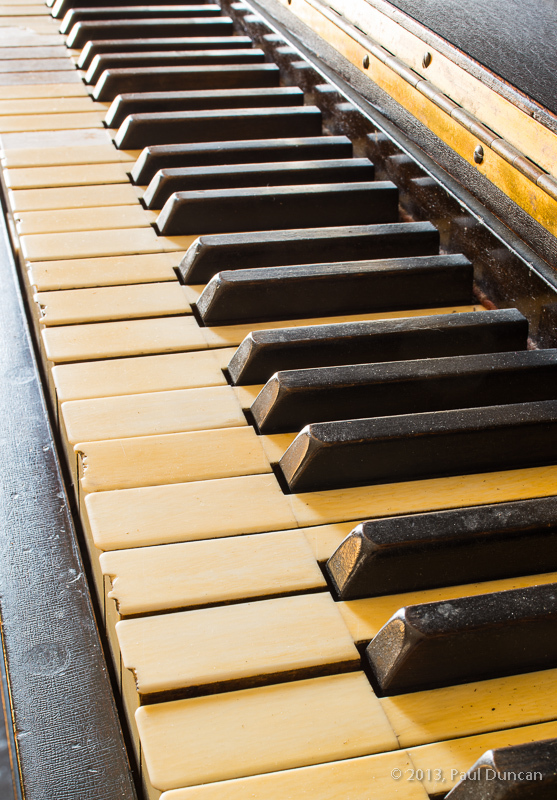 This one, sadly, is probably beyond repair; the piano’s value would not warrant the cost required to bring it back to life. Well, it seems our home building project is stalled for the time being. Our general contractor pulled up stakes to do another job that needed to be completed before tourist season starts. Meanwhile, Lori and I are the only ones doing anything at our house the last 3 weeks. So, what do you do when your new home is 3/4 done and there’s nobody around to finish it? That’s right, redecorate! Lori decided that she didn’t like the sheet vinyl flooring we picked out for the bathrooms. We agreed that we were unlikely to find another vinyl flooring we liked any better. (We’ve been spoiled by ceramic tile and wood floors.) Lori was willing to have it all pulled up and replaced with ceramic tile but I managed to talk her off that ledge, instead repainting the upstairs bathroom a different color to better coexist with the sheet vinyl. So that’s what she did. Don’t tell her I said this, but I must admit it looks much better. We both liked the first color but it just didn’t play well with the muted earth tones of the sheet vinyl flooring. It was cheaper to repaint the room than to rip out and replace the floor covering. Meanwhile, as we anxiously wait for some sign that we’ll ever get this house finished, we continue to plug away at painting and other small chores that are within our limited capabilities. We have a good start painting doors, installing door hardware, painting trim, installing light fixtures, and installing ceiling air diffusers and wall and floor vents. We’ve also picked away at odd jobs like moulding trim, cleaning and scraping crud off windows and trim, picking up construction trash blown around the property, and painting, always painting. We’re trying to keep progress going but we’re getting antsy. Over the last couple of weeks, Matt has chipped away at an seemingly endless list of tasks as we progress toward the final stretch of home building. Most of the kitchen appliances are in. After Matt installed the over-the-range microwave, he built the venting duct work out the side of the house and then built some tidy crown moulding over the kitchen cabinets to obscure the view of the duct work. We covered the kitchen floor with bamboo flooring as an extension of the open living room area. We like the look a lot. It’s supposed to hold up well but time will tell. Lori and I continue to plug away at painting and we’ll wait for the ground to dry out a little before the final grading can be done. We’re getting eager to get this wrapped up but there’s still a lot to do.